Move point D or E to change the translation. 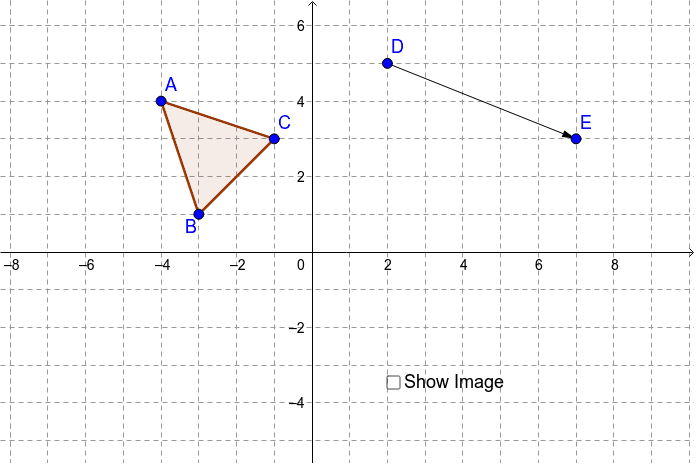 Move point A, B, or C to change the preimage. Click the checkbox to show or hide the image.